The hard truth from Stunt Coordinator Alicia Turner. 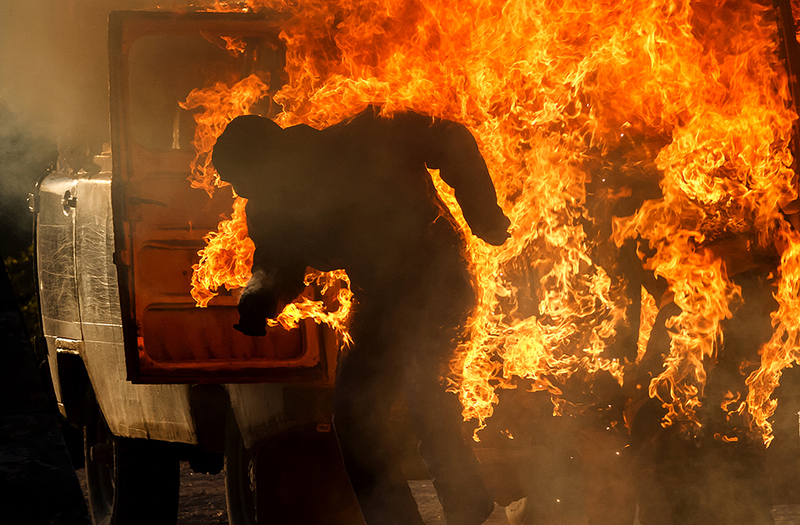 So, you want to be a stunt performer? After almost 20 years as a career stunt person, I’m going to tell you what you need to hear and, for some people, perhaps not exactly what you want to hear. The professional stunt industry is a highly competitive field in the film world. It is a tight-knit community of professional race car drivers, world-class martial artists, gymnasts, dancers, circus performers, motocross racers, professional skateboarders and the list goes on. It’s also extremely difficult to break into. As a potential stunt performer, you should have something extraordinary to offer the industry. Unfortunately, frequent gym visits, yoga, running, weightlifting and such does not constitute exceptional. There is the occasional “natural athlete” who succeeds but, for the most part, stunt performers come to the job with something major under their belts. In terms of training, I inform all keen stunters-to-be that they must know how to do two things—fight and fall down; this is what we do most. There are hundreds of things you can do to develop your career. The more tools you have in your ‘action toolbox,’ the better. Another item to stick in your figurative toolbox is what we call ‘reactions.’ Simply put—what your body does when someone punches, kicks, head butts you. Some martial art schools offer stunt-specific training that often includes ‘reactions.’ Not all dojos are created equal, so it’s up to you to figure out where to put your hard-earned money. Frankly, these people scare me. I encourage them to pursue something more directly related to their personal adrenaline needs…like BASE jumping. For these folks, an adrenaline high is the end goal; while for stunt performers, the end goal is a good, safe product that reads well on film, as un-extreme as that may sound. Adrenaline is something we are forced to contend with because, if not tapped correctly, it can actually impede our judgment. As for the I’m-crazy-I’ll-do-anything people…well, we certainly don’t want crazy people around making things unsafe for the whole team. This brings me to the next topic: injuries. Every stunt performer has been injured on the job. Some are small injuries like sprains, bruises and cuts, which have happened to absolutely every stunt person. Most stunt performers have had more significant injuries—broken bones, concussions, torn ligaments and have developed chronic injuries as a result of repetitive hard landings or repetitive, difficult skills. Sadly, we have also had catastrophic injuries, career-ending injuries and fatalities. If you are ACTUALLY doing stunts, it is pretty tough/almost impossible to avoid injury. Most stunt performers are managing three to five injuries (of varying severity) while still managing to work—although they will likely never admit this—when it comes to stunt performers and injuries, it’s top secret. Closely tied to the subject of stunt injuries, research has shown that a career in stunts has a distinct timeline. Every performer either ‘ages-out’ or ‘injures-out,’ which is a tough reality. If you are a female and have had a successful stunt career, expect to start getting less work at age 40 and little to no work by age 45. For males, that correlates to 45 and 55 respectively. Of course, there are exceptions, but it’s safer to assume you are NOT the exception and design your life accordingly. Do I have a high pain threshold or, sometimes more importantly, a high “discomfort” threshold? Do I scare easily or am I someone who operates under disclaimers (e., I don’t like cold, heights, falling down, I only want to do the ‘easy’ stunts)? Am I someone who listens intently to and can follow instruction? Do I have good body-awareness? Am I covered in tattoos? Tattoos are a baaaad business decision for stunt people. They are time-consuming to cover up and makeup ends up rubbing off—usually onto costumes. In my experience, production asks me to find another performer to fill that role for convenience. If you’re still reading and not totally discouraged, good for you! One very important thing you should know as a stunt performer, we do not use agents. The stunt coordinators serve as our agents. An agent will NEVER get you a stunt-doubling job, regardless of what they tell you. They may submit you for a stunt-acting role, but often/almost always the stunt coordinator has input on the performer selection. Stunt coordinators, themselves, usually submit their top performer choices to casting. You DO have to start somewhere so, if an agent will help you get your ‘behind’ on set to meet the right people, then take whatever role gets you to set. You can use your time wisely and learn how a film set works. On set, the stunt coordinator’s job is multi-faceted: they are busy and in charge of many things, including safety. If you get a chance to introduce yourself to the stunt coordinator, plan and time it wisely. You must be brief, polite, modest and HONEST about your skills. If you say you can throw a punch, do a cartwheel, drive a motorcycle, etc.…make sure you actually can!!! You cannot fake these skills, and your shortcomings will surface sooner than later. No stunt performer wants to be written off as irresponsible or dangerous to have on set. We rely on our reputations, so being dishonest about your skills will end your career before it’s even started. Your day on set may also allow you to meet stunt performers and ask them about their job, their background and their recommendations on how to proceed with your own career. Guaranteed—if you ask five different stunt performers how they got into the industry, you’ll get five different answers. They are not messing with you; everyone has a different how-I-got-my-first-stunt-credit story. Keep in mind; the stunt industry is quite competitive so the stunt performer may resist giving you information. To minimize this, if you are a 5’11”, 170 lbs. male, try not to ask a similar-sized male stunt performer how to get into the industry; find the 5’4” female and ask her. Nobody wants to solicit his or her potential competitor. So, it’s time to create your Stunt Package. The first step is to get some headshots done that actually look like you. I suggest a standard headshot and a three-quarter shot. Keep in mind; red carpet-style glamour shots are of little use. Next, you’ll need a résumé documenting your experience in sports/accomplishments/anything stunt-worthy. The final step in your stunt package is creating a demo reel showing a montage of the aforementioned skills. You are now all set to get these documents out to the right people! One method stunt performers use to get their documents to the right people is through Ontario Creates’ in production page. The stunt coordinators are not listed but the production emails are. Write a brief note introducing yourself. Keep in mind; stunt coordinators are generally juggling a million things and will very likely just delete your email anyway—sorry for the brutal honesty. Attach all your documents and add a YouTube link to your stunt demo. Send it and cross your fingers. Now, be patient and DON’T QUIT YOUR DAY JOB. It takes some very talented performers upwards of three to five years to get anything in the fickle stunt industry. Other very talented people never get anywhere. My apologies if this message is completely depressing. What’s more depressing is actively pursuing something and only realizing after hours, days and years how misinformed you were and how much time you wasted chasing something that is straddled somewhere between difficult and unattainable. On the other hand, if you truly feel you have the skills and mentality it takes… go for it! And don’t give up. The stunt industry really is a tough nut to crack, but it’s a very rewarding career once you’ve kicked in the front door, so to speak. 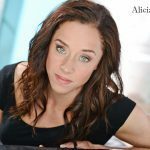 Alicia Turner is a Canadian stunt coordinator and stunt performer and a former co-chair of ACTRA Toronto’s Stunt Committee. Her IMDB profile. Her stunt reel. Next Wendy Crewson on the ACTRA Spotlight Podcast!